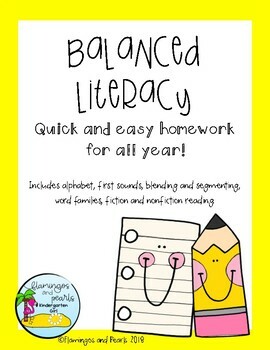 Balanced Literacy Homework for All Year Long! Sometimes homework feels like just one more thing to plan, but homework shouldn't be stressful for you or your students. It is meant to directly support the lessons being taught in the classroom. 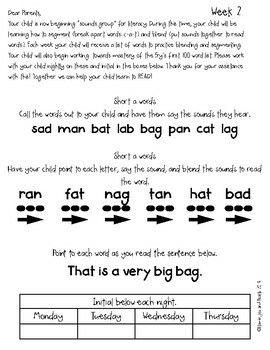 Let this differentiated print and go balanced literacy weekly homework take a load of you and support the hard work your students are doing daily in class. 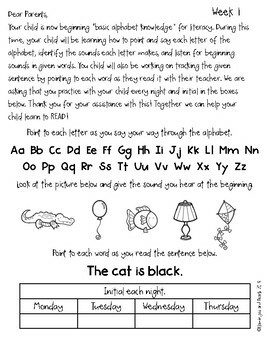 With this year long homework pack, your students can start with the basics of alphabet knowledge and beginning sounds and work to build on their skills. 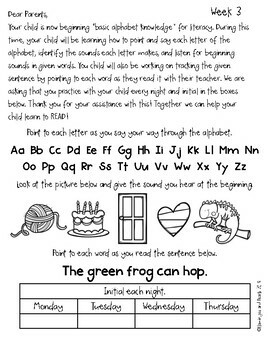 After 15 weeks of alphabet knowledge homework your students can move to blending and segmenting, word families and eventually reading fiction and non-fiction texts. Don't let homework stress you out!